Wells Fargo Mortgage is the largest US mortgage lender. From its early days as a stagecoach provider, to present Wells Fargo has been a part of the American financial landscape for well over 150 years. Wells Fargo started as a single branch in San Francisco,and eventually expanded throughout California. Through their acquisitions of Minneapolis-based Norwest Bank and Charlotte-based Wachovia, Wells Fargo became the empire they are today. All lenders offer a variety of products. To check the most recent products and mortgage rates, look at Wells Fargo’s website, directly. Borrowers looking for a traditional “conforming” loan of $417,000 or less can take advantage of Wells Fargo’s low refinance rates. Wells Fargo has a broad range of fixed products including 30-year mortgage rates and 15-year fixed mortgage loans. As with all fixed rate loans, the benefit is knowing what your interest rate will be for the life of your loan. Adjustable-rate mortgages are shorter than traditional mortgage terms. Shorter terms usually mean lower interest rates, but significantly higher monthly payments. As with most ARM loans, the rate is set for a set period of time, then will reset annually with a new rate that can be either higher or lower depending on market conditions. Existing Wells Fargo customers can take advantage of the bank’s online streamline program. This program has no application, appraisal, or closing fees and works completely online. As long as you can qualify for a loan and do not plan to take cash out for remodeling or otherwise, this program makes it easy for you to refinance into a lower rate mortgage with reduced paperwork. Wells Fargo’s financial strength gives them the ability to offer competitive jumbo mortgage rates- or loans over the $417,000 limit that Fannie Mae and Freddie Mac impose. Like many lenders, Wells Fargo jumbo refinance mortgages carry higher interest rates than their conforming loans. Unlike other lenders, Wells Fargo’s premium is very small, frequently as little as 25 basis points. In other words, if Wells Fargo was issuing 30-year mortgage refinances at 5.00 percent rates, a Wells Fargo jumbo refi would be just 5.25 percent. Federal Housing Authority loans are notorious for having flexible qualification requirements. If your credit score needs a bit of work, but refinancing is important to you, consider an FHA loan. It may be your best option. Though terms will vary, FHA loans often allow you to refinance up to 97.75 percent of your home’s value. If you qualify for a VA loan you will be eligible for some of the lowest refinancing rates on the market. These rates can sometimes be a full percent lower than a traditional refinancing loan, which can result in substantial savings of the life of your loan. Another giant advantage of VA loans is that most often, homeowners won’t have to pay for mortgage insurance, which can cost around .5-1 percent of the total loan value. The HARP program was created by the federal government, to make it easier for eligible homeowners to refinance their homes at a lower rate. In many cases, an appraisal is not required and fewer documents are needed. Borrowers with regular Freddie Mac and Fannie Mae mortgages can refinance their mortgages even if they owe more than their homes are worth through the Home Affordable Refinance Program. If you have a good history of being current on your payments and have not yet taken a HARP refinance, you could refinance your loan’s mortgage to a new one at today’s lower rates through Wells Fargo Mortgage. The Wells Fargo refinance rates are competitive. Wells Fargo, as with all other financial institutions, will take a homeowner’s current debt load and history into consideration in deciding upon a refinancing rate. To find current Wells Fargo mortgage rates in your area, you’ll need to visit Wells Fargo’s website to enter your geo-specific information or speak with a representative directly. How does Wells Fargo compare to other banks? Chase doesn’t promote a program dedicated to their current customers (apart from HARP) like Wells Fargo does. So if you’re currently a Wells Fargo customer, it might be worth doing the math on interest savings compared to ancillary fees. A streamlined refinance can save you money in the long run. Even though PNC Mortgage is a smaller bank than Wells Fargo, their rates tend to be about equal to each other. The number of products offered by the two lending companies are comparable, also. If you have shaky credit history, PNC mortgage might be more appealing to you. This bank currently considers nontraditional credit history, like rent payments, while approving you for a loan. If you already have a Wells Fargo mortgage consider refinancing through their HARP program. Streamlining through HARP loans let you refinance even if you owe more than your home is worth. While you will have to fill out a new mortgage application and go through Wells Fargo’s underwriting process, you will not have to have your home appraised – which can cost around $400. Wells Fargo was an innovator in home equity lending, offering one of the first Home Equity Line of Credit (HELOC) loan products ever. Today, they offer traditional home equity loans, flexible HELOCs, and a unique Home Asset Management Account. This account combines a WellsFargo mortgage with a Wells Fargo HELOC to let you have a single point of contact for both your mortgage and your HELOC. It also offers a choice between traditional payments and interest-only payments to let you manage your monthly cash flow. One note of caution. If you consider a HELOC be careful about the terms. If you agree to a variable rate, your interest may rise. Also, if your home declines in value, you could end up paying more money than your home is worth. Wells Fargo has a long history of leadership in financial services. Their wisdom in avoiding sub-prime lending led them to be one of the strongest banks coming out of the real estate bubble and positioned them to be one of the strongest lenders in the market. It’s always best to shop around for the best rate when it comes to refinancing. Consumers have many options for refinancing – banks, credit unions, consumer finance companies, and loan institutions all want your business, which gives you the advantage. Apart from interest rates, it’s also best to determine which lender is right for you from an ancillary fee standpoint. Check the balance between fees for closing a loan and interest rate. 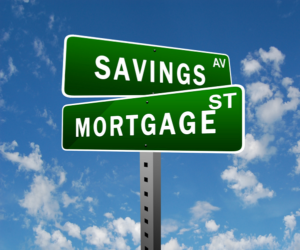 A lower interest rate might not always be the less expensive option. Customer service and communication should also be taken into consideration. Ask yourself, does your community bank offer better customer service than regional banks you’ve worked with in the past? With that in mind, current Wells Fargo bankers definitely have reason to consider sticking around for refinancing.